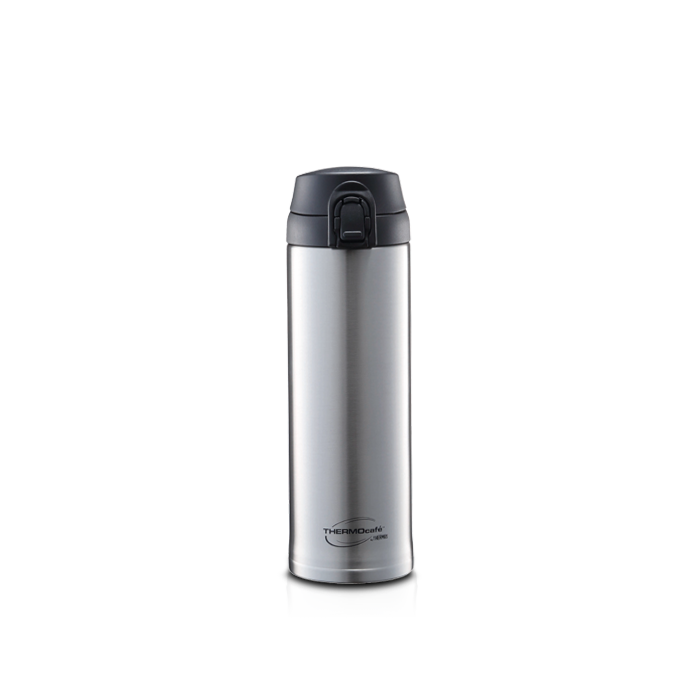 -Unbreakable 18/8 stainless steel interior and exterior withstand the demands of everyday use. 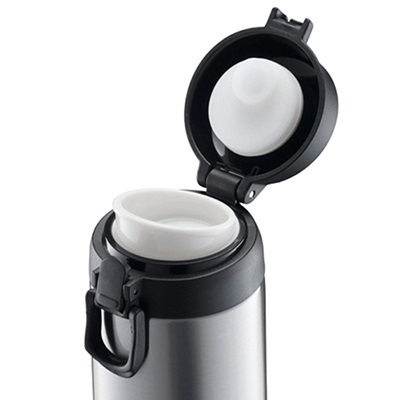 -Leak-proof top opens with push button ease for simple one-handed pouring. -Large mouth opening makes filling and cleaning easy. 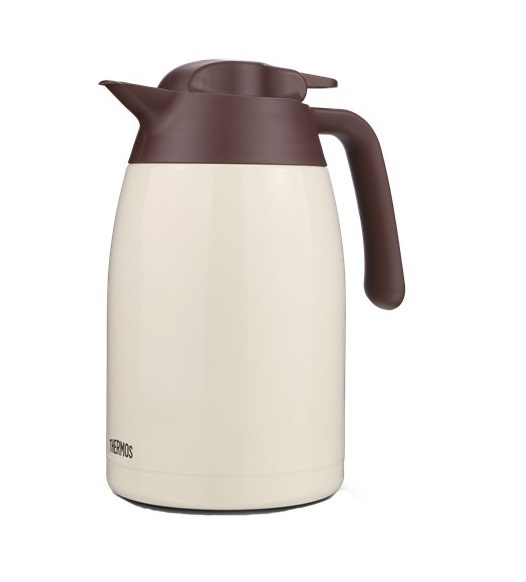 -Contoured handle is comfortable to hold for easy portability. -Body stays cool to the touch with hot liquids and is condensation-free with cold. -Fits most automotive cup holders. -One touch open with safety lock. -Leak proof and ideal for outdoot activities.